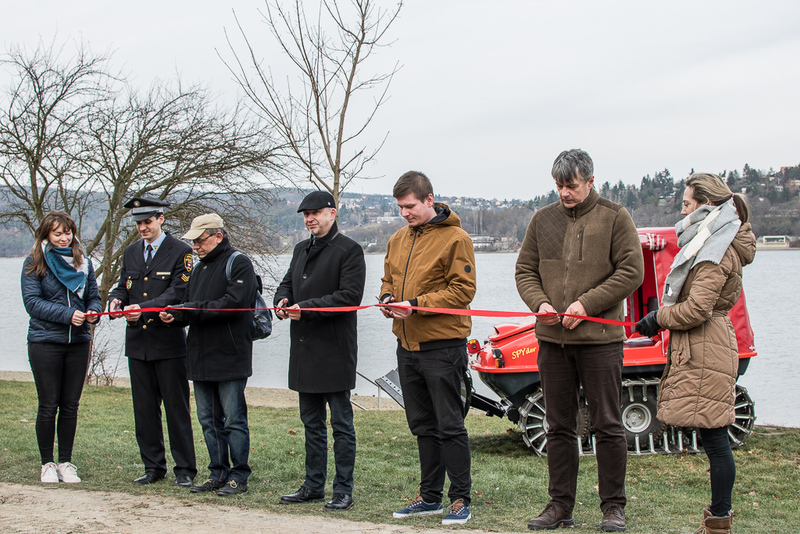 Photo: The special ice resurfacer was one of the winning projects of last year’s participatory budgeting project, with more than 1,000 Brno residents voting for it. Credit: Casadei Graphics. Brno, Feb 5 (BD) – On January 30, Brno City Council approved plans to open a participatory budgeting process for the city for the third year in a row. The scheme, known as “Dame Na Vas”, involves proposals being submitted by members of the public, which are then vetted by officials for feasibility before a shortlist is put to a public vote later this year, with the most popular proposals to be funded by public money. Changes to the process this year include an increase of the total amount to be allocated as part of the scheme, to CZK 35 million. The maximum amount that can be allocated to one single project is CZK 3 million. “I am glad that the Council has approved the Dame Na Vas project for the third year. The second year showed that Brno citizens are very interested in participating in the development of the city. A lot of good ideas were put forward and the vote was dramatic until the end,” said Tomáš Koláčný (Pirati), Deputy for Public Participation. As well as the increase in the total money budgeted for the scheme, there will be a change in the way votes are counted; members of the public will still have five positive votes and two negative votes, but only the number of positive votes cast will be included in the final totals for each project. Proposals can be submitted electronically via the login form at damenavas.brno.cz between February 15 and May 15. They will then be evaluated by council officials to ensure that they are feasible, and there are no legal, financial or technical obstacles to implementation. Each proposal also requires approval from the local district authorities in the area where it is to be implemented. Suitable projects will then go to a public vote in November. For more information on last year’s participatory budgeting process, including the proposals that were eventually selected, see our previous article: Participatory Budgeting: Brno’s Citizens Have Chosen their Favourite Projects.